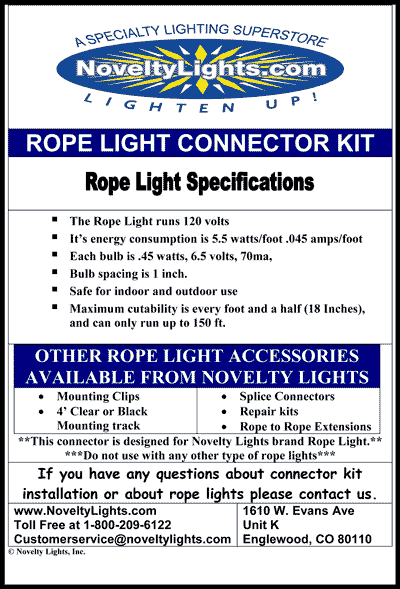 Our Red/White/Blue Custom Cut 1/2" Rope Light Kits come ready to plug in. 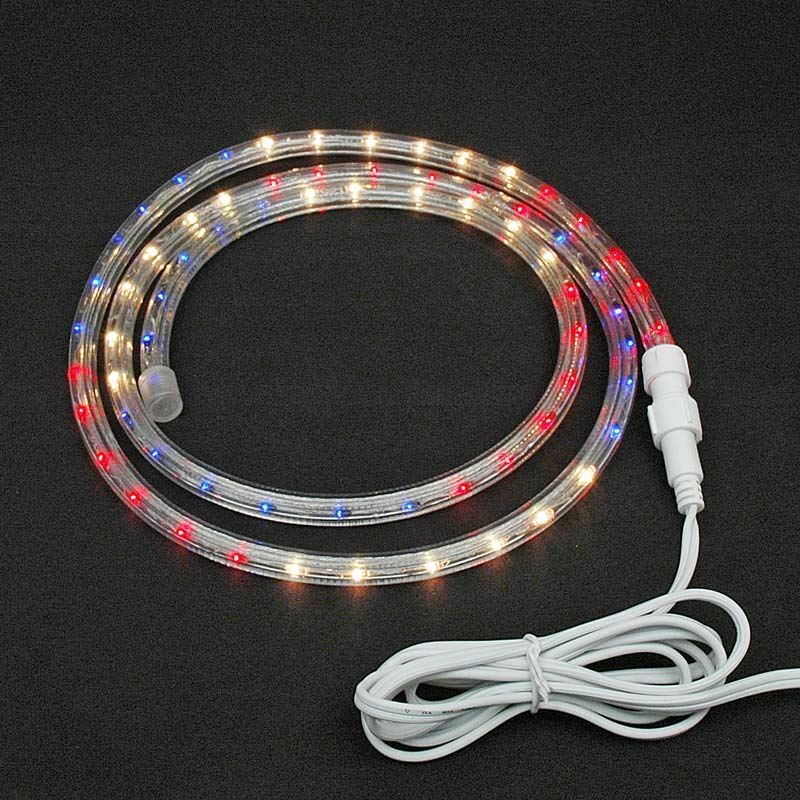 Our Patriotic, Red, White and Blue Rope Lights is the ideal way to decorate for the 4th of July or any other patriotic holiday. Just let us know the length (select below) and we will hook it up and test at our shop before shipping it to you. Yellow rope lights have lots of different applications like outlining structures (a window, room, deck, porch, staircase, ceiling, or driveway), illuminating a toe kick, or various outdoor lighting and holiday decorations. Your projects will come alive with your imagination and our amazingly versatile rope light. Made of highly flexible and durable solid PVC tube with a series of .46 watt miniature bulbs spaced 1" apart. Available in 3' to 150' strands. To order, tell us the color and length you need -- we will cut it, connect it, and ship it to you. For indoor/outdoor use.